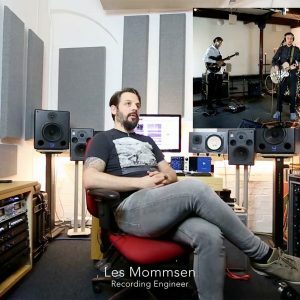 Recording and mixing engineer Les Mommsen takes us through the ins and outs of how he recorded Jack Cheshire and band’s performance of three tracks off their new album, live at the Union Chapel for Sound Network Sessions. The performance was captured with 29 channels of DPA Microphones, renowned for their clarity, sensitivity and linear, honest representation of the sound. In using these mics he was able to capture all the raw and natural nuances in the band’s performance, allowing the true character and energy of the performance to shine through in the recording. Find out more about DPA Microphones here. Watch the full performance of “Gyroscope” for Sound Network Sessions here. Sound Network is a premium pro audio distributor based in the UK, now a division of DPA Microphones. It has served the professional audio industry for over 20 years and has always prided itself on excellent products and high levels of customer service and support. Included in its distributed brands are DPA Microphones, Sony Professional Audio, Bubblebee Industries and Quested Monitoring Systems. Get in contact.